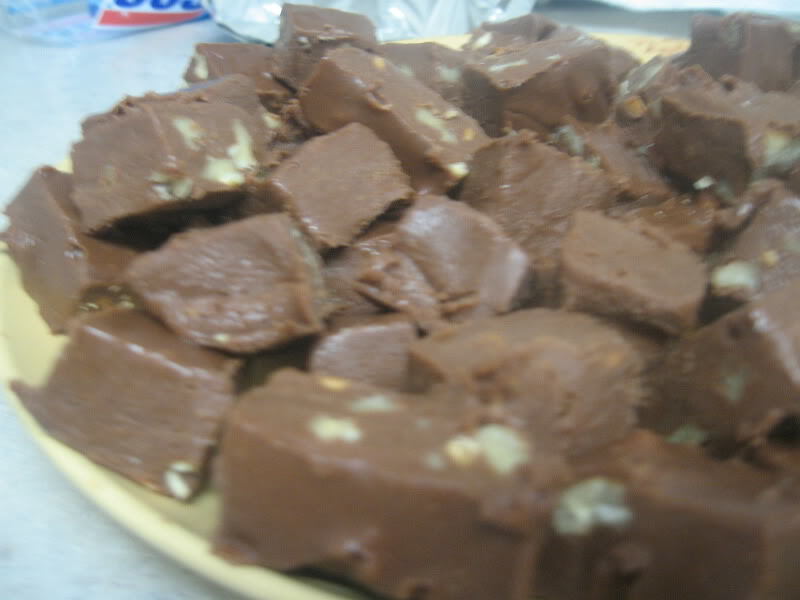 If you need a holiday snack and you've got no time to prepare, this fudge is for you. Melt the chips and milk over low heat, stirring constantly until smooth. Add in vanilla. Pour into 8x8 baking pan and put in the fridge for two hours. You can substitute orange flavor for the vanilla, add raisins, nuts, cranberries or anything else you want. In the pictured fudge, I skipped the vanilla entirely and made it with one cup semi-sweet, one cup butterscotch. You can do anything you want with this.